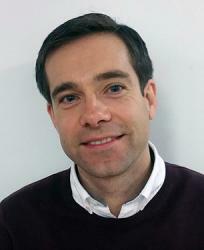 INTERVIEW: David del Val Latorre, chief of Telefonica’s R&D unit (pictured), warned disparate data sets supplied by different vendors provided a huge challenge for operators attempting to use artificial intelligence (AI) and machine learning to automate network processes. Speaking to Mobile World Live, Val Latorre said Telefonica had been working on homogenising data in its networks for two years as alternative measures are provided by different vendors, which also vary by market. However, the executive noted the great potential of machine learning and AI for network automation to reduce costs, increase efficiency and improve customer service across both remote and urban areas. To view the full interview, where Val Latorre also discusses the advantage of open access technologies to increase connectivity in rural areas of Latin America, click here.